The benefits of beeswax in hair and skin care products are endless. It is also good for your pets too. Beeswax is brought to you by adorable worker bees that form the beeswax to raise their young in honeycomb cells. Although beeswax is processed poorly when ingested by humans, it has major skin benefits when applied topically. 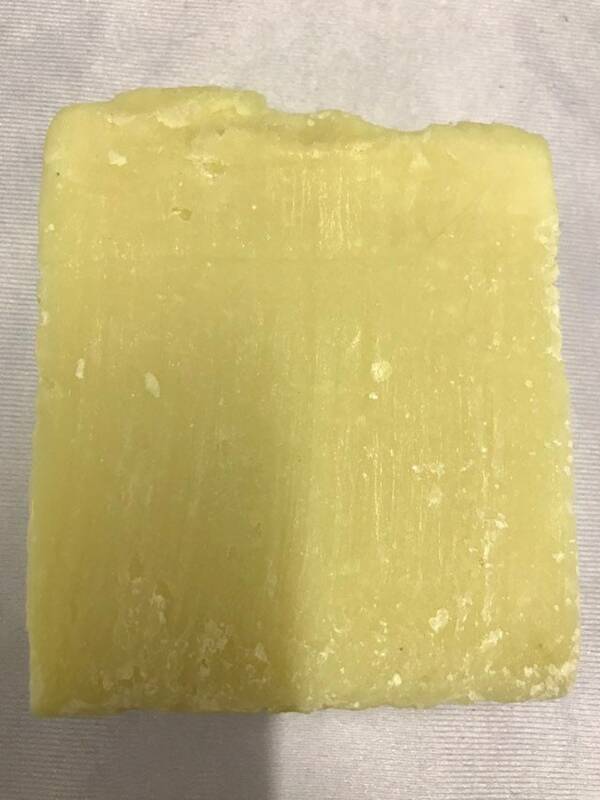 Beeswax carries antiviral, anti-inflammatory, and antibacterial properties that are essential in fighting chapped skin and bacterial infections that tend to affect our pets most in the dry, winter months. It forms a protective wall by sealing in moisture in our skin without smothering and clogging up the pores. 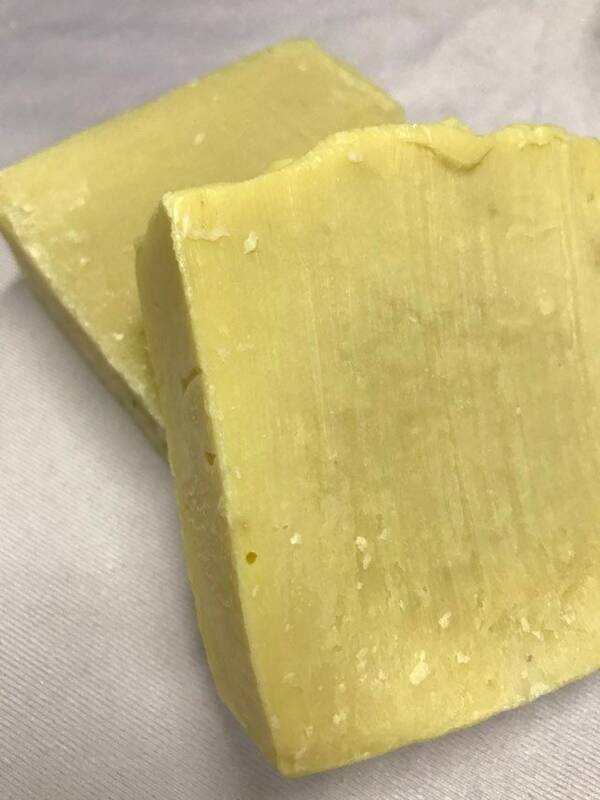 Plus, beeswax contains vitamin A which has been proven in multiple studies to reduce wrinkles and age spots while re-hydrating and reconstructing damaged skin cells. This pet shampoo bar is a natural flea and tick repellent. Made with Olive Oil that has been infused with Peppermint Leaves, Coconut Oil, Castor Oil, Palm Oil, Aloe Butter, Lye, Distilled Water, Essential Oils, and Beeswax, this bar will wash away dirt and grime from your pets fur, leaving them fluffy and soft. Coconut oil and Vitamin E Oil will help moisturize your pets skin and aid in reducing the urge to itch. While, just a hint of Beeswax, will add essential nutrients back to your pets fur. My all natural products are brought to you directly from my 3 honey bee hives. Made with the mildest ingredients, these products are sure to impress and have you coming back for more. ***DISCLAIMER: This product is the result of extensive research on various medicinal flowers, carrier oils, plant based butters, and essential oils. There are NO drugs, chemicals, or additives in any product offered by The Southern Beekeeper. Products have NOT been tested by the FDA and are therefore sold as all natural apothecary items, not as a replacement for any drug which you have been proscribed by a medical provider. Results of this product may very, based on persons use and make up. I accept direct payment through Etsy or Etsy gift cards. Normally, your items will ship USPS First Class Mail 5 to 7 business days after payment is received. All items will ship USPS Priority Mail approximately 10 to 14 days after payment is received. If you purchase 2+ items, they may ship Parcel Post, in order to keep the shipping cost low for you. You will receive an e-mail with shipping information once your order is shipped. International orders are shipped USPS First Class International. There may be no tracking available for international orders. International orders can take anywhere from 10-20 days to get to the final destination. During busy holidays they can take up to 8 weeks. I am not responsible for any customs charges, duties charges, and customs taxes. If for some reason you are unhappy with your purchase, please let me know as soon as possible. If I can not work out your problem, I will refund the money you spent on your item. You will be responsible for mailing the item back. Refunds will be made once the item has been received. All items are handmade by me, in my smoke free home. ** I welcome custom orders! Everything is customizable because its handmade by me! Be creative and do not be afraid to ask me about different options or ideas you may have. Thank you. If you are a boutique interested in selling my products in your store, please send me a conversation to discuss!